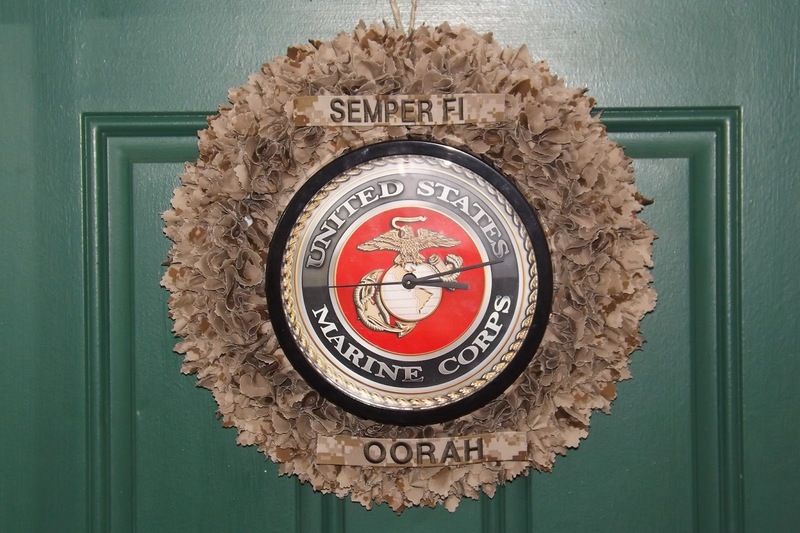 USMC Inspired Etsy Treasury I created for my nephew Malachi who is currently at Boot Camp in Parris Island. This is a wreath I made for my mom. 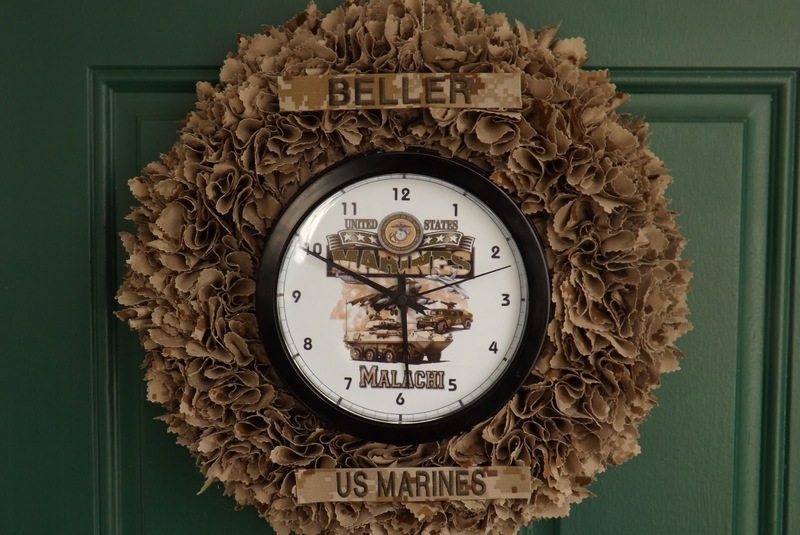 It is made with desert camo cut into squares and attached to a styrofoam wreath form. I had the clock made with my nephew's name on it. I also ordered the same tags from someone on ebay. It looks great hanging in my mom's living room!! Made this one for my nephew to bring to his recruiting office in Lafayette, LA.